Los Angeles, CA (January 6, 2019) – Platinum jewellery, the setting that truly enhances the brilliance of diamonds and coloured gemstones, provided the perfect finishing touch to a sea of colourful gowns on the world's most glamorous celebrities at the "76th Golden Globe Awards". Drop earrings with white diamonds, emeralds, and rubies continued to remain a popular trend on the red carpet. 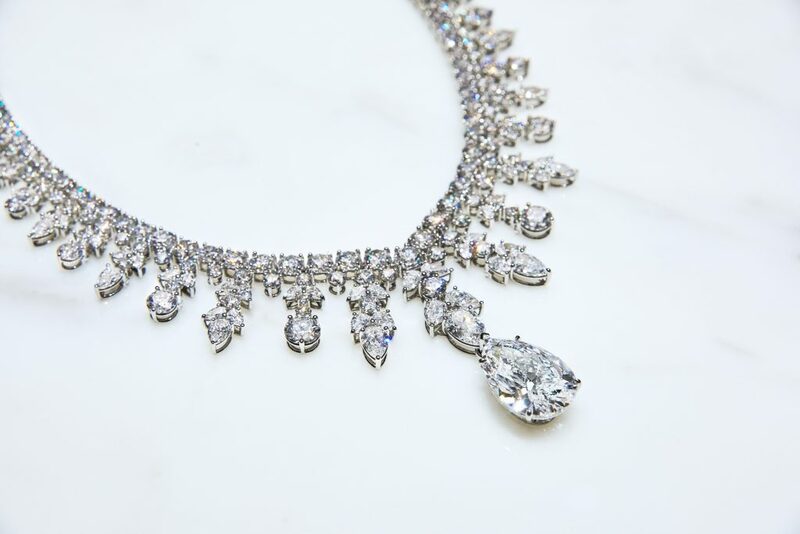 Platinum Guild International is pleased to share that leading red carpet jewellery brands such as Cartier, Tiffany & Co., Harry Winston, Lorraine Schwartz, and Chopard chose to style A-list celebrities in naturally white platinum. Platinum jewellery is the choice accessory for celebrities to capture the most special, glamorous and memorable moments.